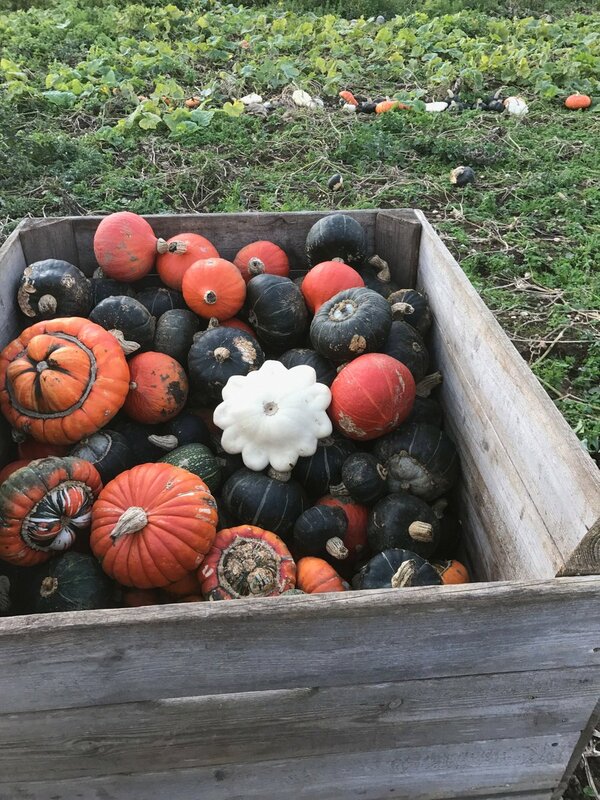 We’ve now finished harvesting our squash for winter storage, they like to be stored at 10 degrees – the squash store will be the warmest place on the farm for most of the coming months! The potato shed is fairly full this year - we have 'Valor', 'Arran Victory', 'Charlotte' , 'Pink Fir Apple' and 'Sarpo Mira'. The November salad bags will contain the last of our lettuce and we still have chillies from a polytunnel to sell at November's markets.